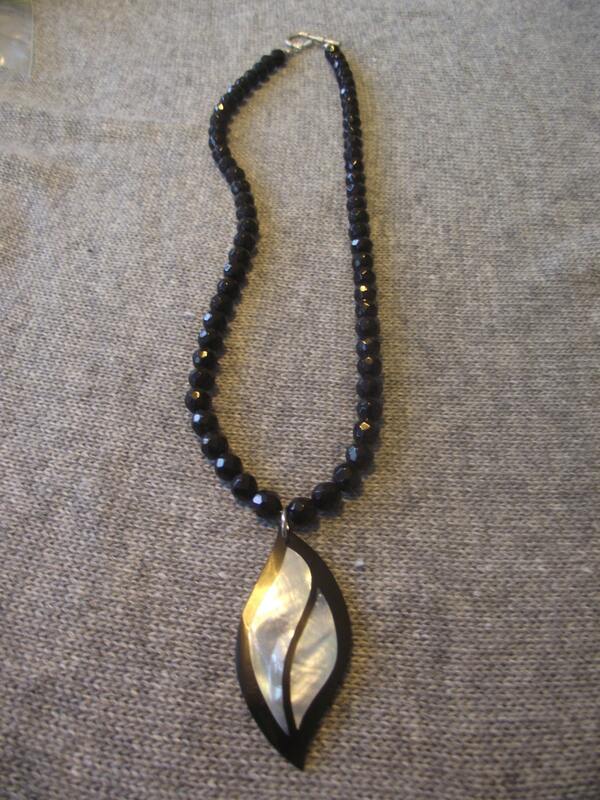 Pretty black faceted beads and Mother Of Pearl Pendant piece. It sparkles as it moves ! 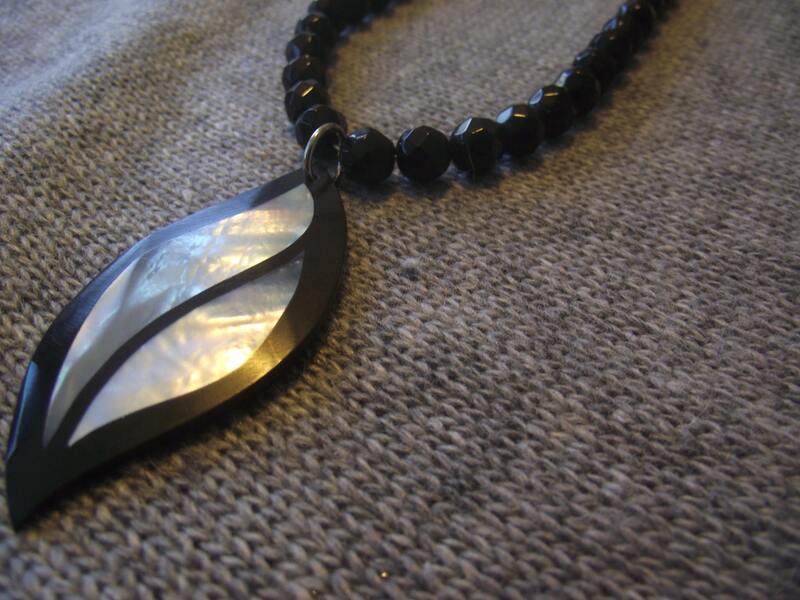 The Mother of Pearl pendant is just over 2 inches long. The Mother of Pearl is so pretty as it shines and moves with the light. East of and on clasp as well.